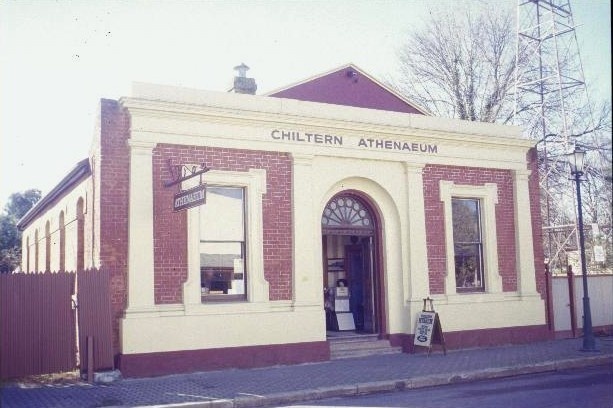 The Chiltern Athenaeum and former Town Hall is a single storey brick structure in the Conservative Classical style. The combined library and municipal office building was designed by the Beechworth architect, John Coe and was built circa 1866 by Houston and Hunter of Rutherglen. The building comprises a simple rectangular hall with a centrally located entrance, the building has rendered pilasters and a small raised pediment over its arched entry way. Above the main door is a fine peacock-tail fanlight with radiating spokes. The Athenaeum and former Town Hall replaced an earlier timber structure which was used by the Chiltern Library Institute after its foundation in 1861. Whilst the building ceased its dual functionality in 1937, the Athenaeum continues. The Chiltern Athenaeum and former Town Hall is of historical, social and architectural significance to the State of Victoria. 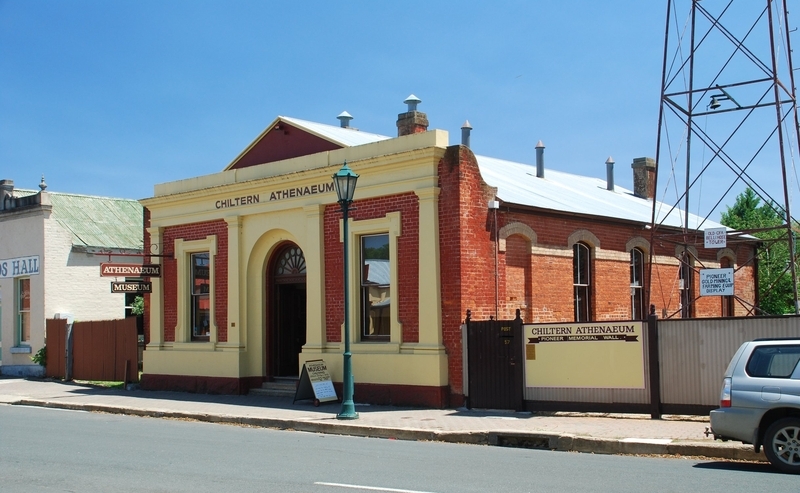 The Chiltern Athenaeum and former Town Hall is of historical importance for its role in Victoria's goldmining history. The Chiltern district was one of the most important gold producing areas in the colony and the Athenaeum and former Town Hall was the centre of local government activity in the region during this period. The building also had an important social and community role as a library and cultural centre and many important Victorians, including Dr Walter Richardson( influential spiritualist and father of Henry Handel Richardson, were associated with the building. 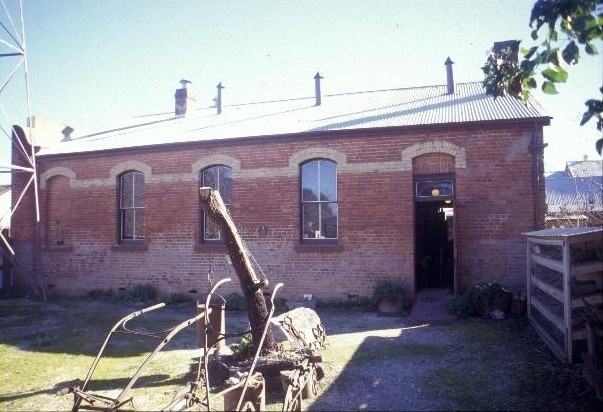 Cultural institutions, such as athenaeums and mechanics institutes, were particularly prevalent during the 1860s and the increase in their construction corresponded with the consolidation of towns founded on Victorian goldfields. 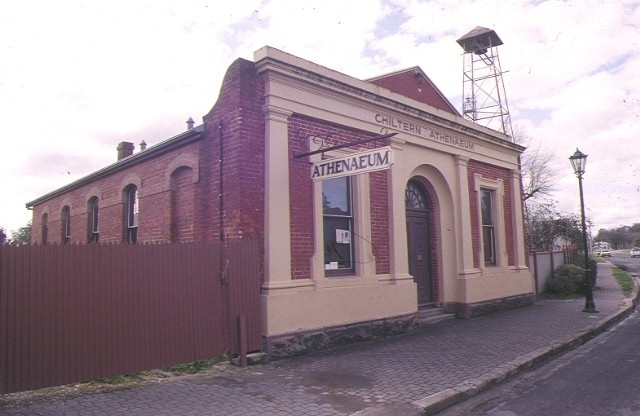 The Chiltern Athenaeum and former Town Hall is historically significant for its ability to express the growth and solidification of a country township once the initial rush to Victoria's gold fields had subsided; this building is especially significant given the role of Chiltern in Victoria's goldmining history. The Chiltern Athenaeum and former Town Hall is architecturally significant as a rare example of a combined library and municipal office. The building maintains a high degree of integrity, retaining many of its furnishings, fittings and fixtures, and its original split function can still be interpreted through its internal layout, although the timber partition has been removed. The building is a significant example of a provincial hall in the Conservative Classical style and remains relatively intact. 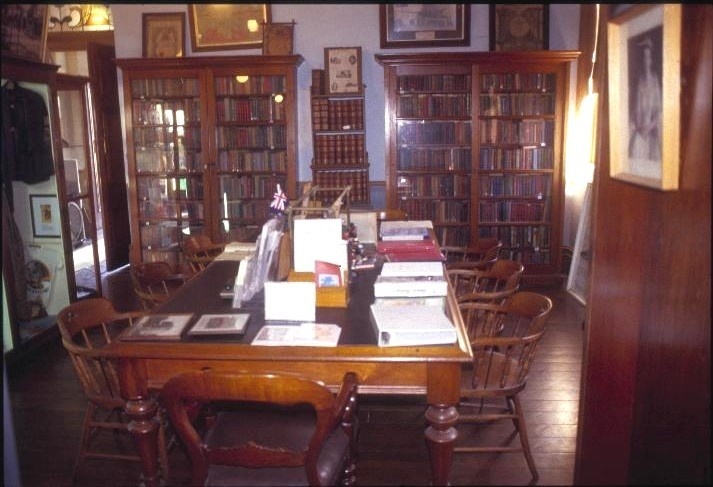 The polished cedar tables, shelving and chairs are thought to be located in much the same positions as they were when the building was first constructed. 1 All the building known as the Chiltern Athenaeum and former Town Hall as marked B1 on Diagram 600458 held by the Executive Director. 2. 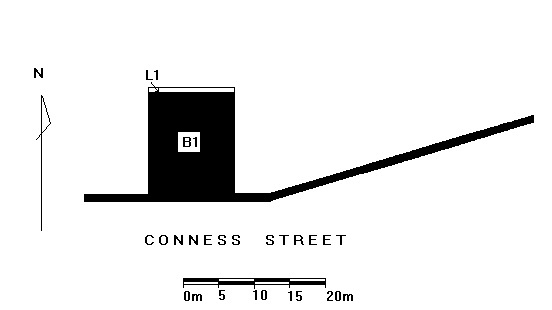 All the land marked L1 on Diagram 600458 held by the Executive Director being all Crown Allotment 2, Section J, Parish of Chiltern. 3. All the specified objects . building's original paint or decorative scheme. Removal of existing carpets/ flexible floor coverings. Installation of carpets and flexible floor covering. Installation of curtain track, rod, blinds and other window dressings. mirrors and other wall mounted works of art. of new fixtures, and wall and floor coverings. light switches are retained in-situ.